The colourful and exciting story of the larger-than-life characters who have populated Australia’s docks, wharves and ports from the First Fleet to today – and the crime, violence and corruption that has always been present. Ever since the First Fleet dropped anchor, Australia’s ports have been our opening to the world. They are also the breeding ground for many of Australia’s most notorious criminals, and a magnet for local and overseas criminal syndicates. WATERFRONT is the story of the crimes, the politics, the characters and the corruption in our nation’s ports. From the time of Phillip and Bligh to today, from the gold rushes to modern-day drug smuggling, a criminal element has always found ways to profit from the rise and dominance of waterfront unions. 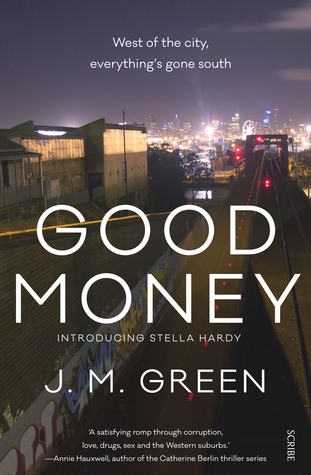 After a century of Royal Commissions, reports, denials and crackdowns, crime and wrongdoing in Australia’s ports remains organised, entrenched and incredibly profitable. Investigative journalist and former police detective Duncan McNab lifts the lid on the intriguing and chequered history of Australia’s waterfront. Waterfront is an epic feat of research and writing that has surprised and confronted my somewhat romantic view of the history of the arrival of the First Fleet in Australia and life on the waterfront in general from then on. Before I go any further let me clarify what I mean when I say romantic view, I thought I was aware of the hardships and some of the challenges that the settlers of the First Fleet encountered – I had no idea of the reality as disclosed by McNab. My understanding of this period of history seems to have been somewhat simplified and whitewashed. An intriguing look into the history, politics and the notorious larger than life individuals and members of organized crime gangs who have made the waterfront their own. 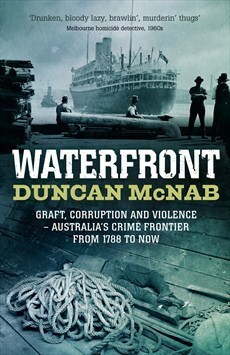 McNab strikes a chord with me when he says in his final chapter “We’ve invested more time, effort and money in stopping boats full of people rather than gathering intelligence on, and penetrating the organised crime syndicates bringing in drugs like ice – labelled by the prime minister when announcing the task force as ‘a dreadful scourge’ and going on to state that ‘massive quantities of this pernicious and evil drug are coming into our country all the time.” (p.320) Well reported McNab. Hang up your disbelief on the rack by the door, show me your membership to the thriller enthusiasts club and then take a few calming deep breaths; commence reading. 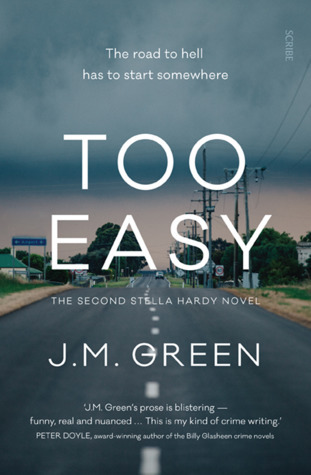 But before you start I have a duty of care to warn you, take heed of my advice, it is not given lightly; this book will thrill, captivate and enthral you. Clear your diary because once you start reading this you will not be able to put this down until the last page is turned and whilst you have your diary out please make an urgent booking for the physio or chiropractor or naturopath of your choice because after you have finished reading this your neck muscles will be so tense you will need a therapeutic massage to ease the pain! Don’t say you weren’t warned. home—rocked the police force and the Parliament, vanquished one government and brought the next to its knees. Liam Houlihan is an award-winning journalist and former lawyer. He has reported from New York, Washington DC, from Sri Lanka after the tsunami, and Singapore for underworld figure Mick Gatto’s pursuit of missing Opes Prime money. 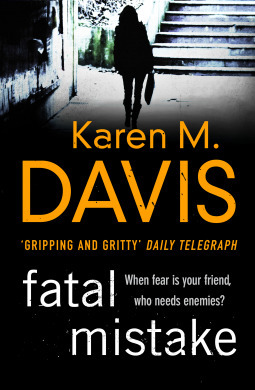 He was the Sunday Herald Sun’s crime reporter for five years from 2007 until 2011 during the rise and fall of police chiefs Christine Nixon and Simon Overland. He is currently a News Editor at the Herald Sun. This is his fourth book. 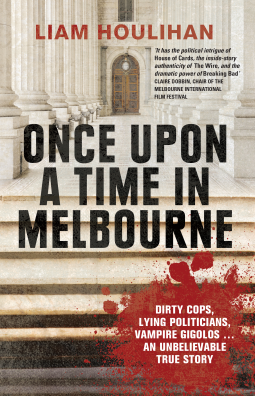 Liam Houlihan writes a narrative that for the uninitiated in Melbourne politics, crime and corruption seems quite bizarre and utterly mind boggling – how could such events take place? I can appreciate now why a TV drama series based on these actions was such a huge success – whilst the TV series had an element of romanticism (is that the correct description – criminals often portrayed in a romantic light; affable, charming, rich… living a decadent lifestyle with a honour code of their own) the crooks in this tale are neither romantic or charming; they were greedy, arrogant, egotistical and thoroughly unlikeable – and sadly most but not all of these criminals were corrupt government officials and serving police officers. I could not read this tale without continually shaking my head in disbelief. This is a case where fact is stranger than fiction. I found the style of presenting these accounts to be a little confusing at times, maybe it was my own lack of understanding of the events that made it difficult for me to piece this puzzle together though it did come together in the end. 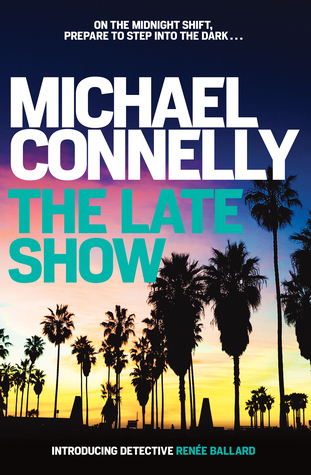 Aside from the almost unbelievable revelations the narrative exposed, a tale I found incredible, I loved the language of this book; a colloquial, no nonsense approach, I can see the author smiling as he wrote this. I will share a few gems with you; “…Brumby got out the mats and did his backflip. It was no ordinary backflip. It was a triple-pike-half in-half-out-with-full-twist-backflip- through gritted teeth.” Later Houlihan describes a detective on the stand as “…a bulky man with a touch of the latter day Elvis about him.” These descriptions make perfect sense to meJ and there are so many more gems like this to be found in this otherwise serious read. 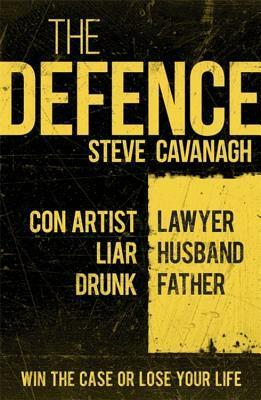 This book is a revelation, I don’t think I will ever look at a politician or a cop in the same way again.